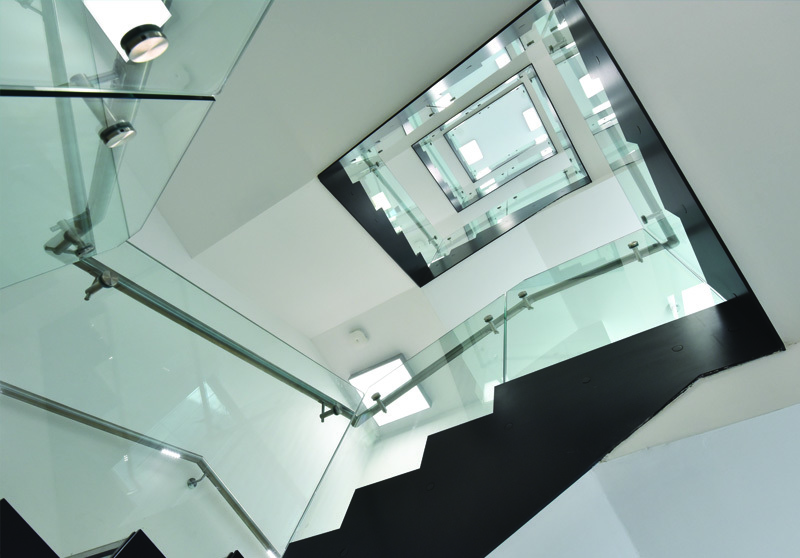 Glass balustrades are becoming increasingly popular in both modern architecture and are similarly popular when renovating historic buildings. Glass allows architects to maximise the use of light, which is particularly important with historic buildings that are often quite lacking in natural light. Glass balustrades provide a light and airy interior space and can also work very well for exterior balconies to meet safety regulations without compromising on design. The glass panels are supported using architectural metalwork, which most often requires bespoke fabrication and design in order to seamlessly integrate the balustrades into the structure. Arkoni provides bespoke metalwork design, fabrication and installation on a range of glass balustrades, balconies and canopies. With extensive industry experience, Arkoni’s specialist fabricators are able to provide high-strength glass-supporting metalwork that does not compromise the visual appeal of the finished product. Experienced in working with both renovations of historic buildings and new builds, Arkoni have developed a reputation for architectural glass-supporting metalwork with bespoke requirements throughout the North of England.